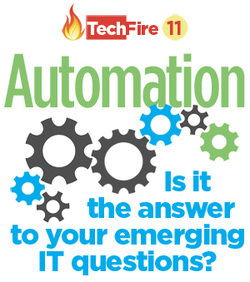 ﻿﻿TechFire 11, in Dublin on 2nd October, addressed the question: Automation: Is it the answer to your emerging IT questions? Attendees at this briefing discussed how converged infrastructure underpins IT automation, allowing for faster provisioning of application-based services across hybrid environments. Automation creates seamless access across internal IT infrastructure to external services, allowing the IT department to broker cloud services, while remaining in control for security, compliance and data protection. This flexibility allows organisations to become more agile and efficient, and ready to tackle the threat of shadow IT. This TechFire briefing, in association with HP and PFH, explored how automation, service brokerage and existing IT capabilities can be brought together to provide the best possible blend of services and capabilities for your business. A user interview discussed the complexities of implementation, as well as the critical evaluation phase. :: Barry Lowry is an industry veteran with responsibility for leading the enterprise design function and providing infrastructure and other services to the Northern Ireland departments, their agencies and more than 40 sponsored bodies. He talked about the process of cloud adoption, providing services from mixed sources and the critical evaluation process to allow informed decision making on ICT strategy. :: An experienced technical architect, Clive Freeman talked about HP’s approach to improving datacentre operations efficiency and effectiveness. This starts with standardisation and virtualisation, and builds towards a full private or hybrid cloud environment, with high levels of utilisation achieved through process automation and infrastructure consolidation. 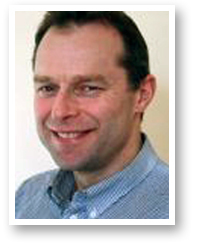 :: Declan Van Esbeck has more than 20 years’ experience in developing and building enterprise computing for business. He will talked about the practicalities of implementation, both from a cloud and automation perspective. Drawing on front line experience with enterprise organisations across private and public sector, he described the realities based on a broad range of experiences.